This privacy notice tells you what we do with information we collect about you. It’s relevant to anyone who uses our services, including policyholders, prospective policyholders, website users and beneficiaries under our policies, such as named drivers. We refer to all these individuals as "customers" or "you" in this notice. We are U K Insurance Limited ("we", "us" or "our"). We underwrite this Clydesdale Bank insurance policy. Q2 What information do we collect about you? Where we have collected information directly from you it will usually be obvious what this is, as you will have given it to us. This might not be the case where we have used cookies to collect information from your computer or portable electronic devices. Please see our cookies policy for more information. CYBG PLC, who we partner with to provide your insurance policy. Joint policyholders or policy beneficiaries. Where you are named on a joint policy or a beneficiary of that policy we may collect information about you from any named policyholder. We will ask them to confirm that they have your permission to give us this information about you. Fraud prevention, law enforcement or government agencies and other data sources used to prevent or detect fraud or provide details to us about criminal convictions or offences. HM Treasury and other authorities in relation to regulatory issues e.g. where someone is subject to a financial sanction they will appear on HM Treasury's asset freezing list. Credit reference agencies e.g. credit searches that are made when we produce a quotation for a new policy or at renewal. (Note that the results of these searches are automatically deleted after 12 months and do not affect your ability to obtain credit.) Please also see section 4 below. External sources such as no claims discount databases,the electoral role and insurance comparison websites to help us decide what the risk is in selling the policy and from companies that hold information about insurance renewal dates, marital status, household residents, vehicle details, employment status and household income to help us work out which information we should provide to you about our other products and services. We may use information about a child, for example, where the child is a beneficiary under a policy or if involved in an accident. We collect and use this information as part of your insurance quotation or contract with us, or where it is necessary for a legal obligation, or as part of the establishment or defence of a legal claim. Q3 What do we do with information we collect about you and why may we do this? To provide the agreed service if you make a claim (e.g. sending someone to assist you in a roadside breakdown situation or to provide you with medical assistance if you are injured or unwell when overseas). We cannot provide the services unless we use the information about you in this way. We can use your personal information in this way because we are required to do so by law. Fraud has an impact on all customers as it increases costs for everyone. We use your personal information to check for signs that customers might be dishonest (e.g. if someone has behaved dishonestly in the past it may increase the risk they will do so in future). We may use your personal information in this way because it is in our interests to detect fraud and in all our customers' interests to ensure that they are not prejudiced due to increased premiums as a result of a few customers acting dishonestly. If you owe us money we will use your personal information to help us recover it. We can use your personal information in this way because it is a necessary part of the contract of insurance. We need to ensure that premiums are paid so that the majority of our customers do not suffer (e.g. through increased premiums) due to the actions of a small minority of customers. We will use your personal information to assist where your or another person's life or health is in danger and obtaining your permission is not possible (e.g. arranging emergency medical treatment in a remote location). To understand how our prospective customers make decisions about which insurance policy is the optimal policy. We may also process your personal data to better understand you as a customer, including to determine how best to retain your custom, and to ask you to provide feedback on the service we provide to you. We can use your personal information in this way because it is in our legitimate interests to provide the services in the most efficient way. We will always ensure that we keep the amount of your personal information that we collect and the extent of any processing to the absolute minimum to achieve this efficiency. Q4 Who do we share your personal information with and why do we do it? By police and other law enforcement agencies. CYBG PLC we will provide them with information about your insurance policy, premium and claims history. Fraud prevention agencies that provide databases and services, such as CIFAS, National Hunter, SIRA and ENI, to prevent or detect fraud. Fraud prevention agencies will process this personal information in order to assist our prevention of fraud and money laundering, and to verify your identity and may also process your personal information in order to prevent fraud and money laundering by other people. Fraud prevention agencies will hold your personal information for up to 1 year, or up to 6 years if you’re considered to pose a fraud or money laundering risk. If we or a fraud prevention agency determine that you pose a fraud or money laundering risk, we may refuse to provide the services and / or financing you have requested. Law enforcement or government agencies we and fraud prevention agencies may permit law enforcement or government agencies to access and use your personal information, if they request it. Credit reference agencies help us decide whether to offer you credit if you choose to pay your premium by instalments. We share this information when you first take a policy with us and at each renewal. We may exchange your personal information with credit reference agencies to reflect your credit application (as payment by instalments means that there will be a credit agreement between us). We will let you know before we do this. This will be visible to other credit providers. Failure by you or anyone who pays for your policy to keep up the monthly payments due under your credit agreement will be reflected in your credit score, not theirs. The identities of the credit reference agencies and the ways in which they use and share personal information are explained in more detail at www.experian.co.uk/crain/. Alternatively, you can call us and we will send you a copy. Your spouse or partner who calls us on your behalf, provided they are named on the policy. Please tell us who they are when you take out your policy. If you would like someone else to deal with your policy on your behalf on a regular basis please let us know. In some exceptional cases, we may also deal with other people who call on your behalf, but only with your permission. If at any time you would prefer us to deal only with you, please let us know. Other insurance companies to help settle any insurance claim or to verify that the information you have provided is correct (e.g we will check the amount of No Claims Discount you have told us with your previous insurer). Insurance industry bodies such as The Motor Insurance Database to meet our obligations under the Road Traffic Act. Insurance industry databases, such as the Claims and Underwriting Exchange where you make a claim so that insurers can check that your claims history is correct, the Insurance Fraud Register and, for commercial policies, the Employers’ Liability Tracing Office. Government bodies, such as the Driver and Vehicle Licensing Agency. Q5 Will we send your personal information overseas? We may send your personal information overseas to any part of the world. The protections given to your personal information in other parts of the world will often not be as strong as in the UK. Where possible, we will put in place agreements with the people we send your personal information to, to require them to treat your personal information with the same protections that we apply ourselves. Our agreements may include standard terms provided by the EU called EU Model Clauses or may require the other party to be signed up to government standards that are recognised as providing the right level of protection such as "privacy shield" in the USA. But it is possible that regardless of what is set out in the agreement this would not stop a government in any part of the world from accessing your personal information, as they can often have power to overrule any agreements we make. In some cases we might need to share information to carry out the services we have promised to carry out, for example if you require urgent assistance abroad. In such an urgent situation we may not always have the time to put in place the type of agreement we would normally want to. Q6 How long may we keep your personal information for? We are only allowed to keep your personal information if we need it for one of the reasons we describe in section 3 above. As a general rule, we will keep it for 6 years from the end of your relationship with us, as it is likely that we will need the information for regulatory reasons or to defend a claim. For example, should you wish to bring some form of legal action relating to your relationship with us, this would generally need to be done within 6 years from the end of that relationship. However there may be exceptions where we need to keep your personal information for longer, such as where a claim has involved a minor. We will also retain data in an anonymous form for statistical and analytical purposes, for example, to assess risk of flood damage occurring. Q7 When can you ask us to stop using your information? If we rely on your consent to collect and process your personal information, you can ask us to stop using your personal information at any time by withdrawing that consent and we will stop using your personal information for those purposes. We may rely on your consent to tell you about products or services which may be of interest to you or to use computers to make decisions about you to improve our services or develop our products (see section 9). At any time, you can tell us to stop using your personal information to tell you about products or services that may be of interest to you or allowing computers to make decisions about you in order to improve our services or develop our products (see section 9). To find out how to do this, see section 10. Q8 What happens if you don't give us some of your personal information? Where you do not provide the personal information we need in order to provide the service you are asking for or to fulfil a legal requirement, we will not be able to provide the service that you are asking us to give you. We will tell you about why we need the information when we ask for it. Q9 When do we use computers to make decisions about you? We will collect information about you and put this into our computer systems. The computer systems will make certain automated decisions about you which will be based on comparing you with other people. This will have an impact in terms of the level of premium or product that we offer to you or the products or services that we decide to tell you about. We may also use automated decision making to conduct an identity verification check. For example, if you are under 25 years of age, the computer system may determine that you are more likely to have a car accident. This is because the computer system has been told that more people aged under 25 have car accidents. Another example is that, if you are under 25, the computer system may determine that you are going to be interested in a travel policy which covers high risk activity, such as skiing. Therefore, we would proactively seek to tell you about such policies as we would consider them to be of interest to you. In selling you other products it helps us decide which other products might be useful to you. We also use computer systems to carry out modelling. Sometimes using your personal information and sometimes using data in anonymised form. We conduct this modelling for a variety of reasons, for example, for risk assessment purposes to make decisions about you, such as your likelihood to claim. However, we may also use your personal information in that modelling to make decisions about how we improve and develop our products and services, or our pricing and underwriting, or to better understand how our prospective customers make decisions about which policy is the optimal policy (i.e. we are not making decisions directly about you). Our Data Protection Officer is in charge of answering questions about this privacy notice or your requests to exercise your rights which are set out below. The Data Protection Office may be contacted at U K Insurance Limited, Churchill Court, Westmoreland Road, Bromley, BR1 1DP. To ask us to fix information about you that is wrong or incomplete, or to delete personal information about you (the so-called "Right to be Forgotten"). To tell us you no longer agree to, that you object to, or that you wish to restrict us using information about you and ask us to stop. A right of access, namely to ask us to provide you with a copy of all of the personal information that we have about you. To receive this information please write to the Data Rights Team, U K Insurance Limited, Churchill Court, Westmoreland Road, Bromley, BR1 1DP. A "data portability" right, namely to obtain and reuse the information that you have provided to us for your own purposes across different services. You may ask for this information to be provided directly to you or directly to another organisation. We will provide the information in a machine readable format so that another organisation's software can understand that information. To ask us not to use information about you in a way that allows our computer systems to make decisions about you (as explained in section 9). Sometimes we will not be able to stop using your personal information when you ask us to (e.g. where we need to use it because the law requires us to do so or we need to retain the information for regulatory purposes). In other cases, if we stop using your personal information, we will not be able to provide services to you, such as administering your insurance policy or servicing your claim. We will tell you if we are unable to comply with your request, or how your request might impact you, when you contact us. U K Insurance Limited. Registered office: The Wharf, Neville Street, Leeds LS1 4AZ Registered in England and Wales No.1179980. 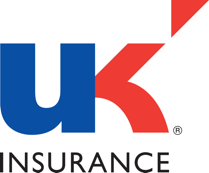 U K Insurance Limited is authorised by the Prudential Regulation Authority and regulated by the Financial Conduct Authority and the Prudential Regulation Authority. Registration number 202810. The Financial Services Register can be accessed through www.fca.org.uk.